Unless you're living in some idyllic place without internet access (confusing that you're reading this, but whatever), you know that noted President of the United States Donald Trump recently hosted the winners of the NCAA National Championship for dinner. This was all normal enough, but then President Trump announced what he'd be serving: a cornucopia of fast food, including “many, many” fries. You will note that, traditionally, that is not how "hamburgers" is spelled. The internet also noted this. Many a joke was made, and the internet internet-ed. But an internet-ing has never run its course until the brands get involved: Both surprisingly and appropriately, it was Burger King that stepped forward to playfully make fun of the president. 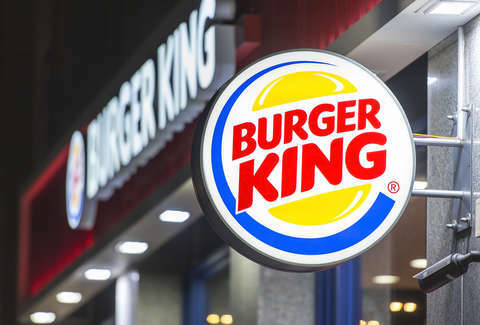 Burger King apologetically explained: "due to a large order placed yesterday, we're all out of hamberders. just serving hamburgers today." Whatever your political stance and broader thoughts on brands acting like people, you will agree that this is an objectively good joke. It even gave rise to some fan art. This certainly feels more civically responsible than getting in spats with Wendy's.